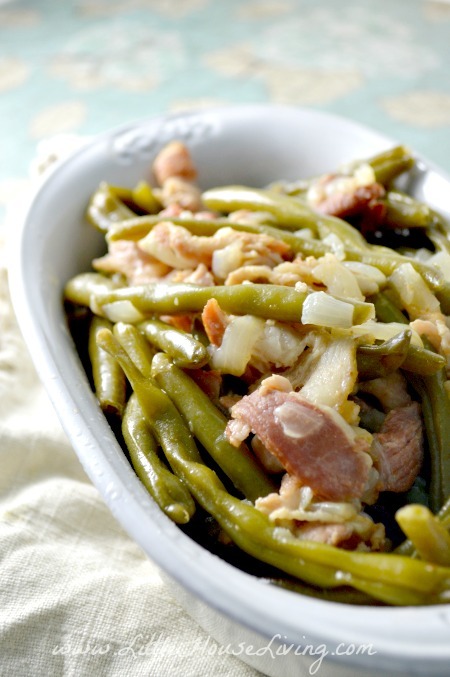 Looking for a delicious supper that you can put together with what you have one hand? 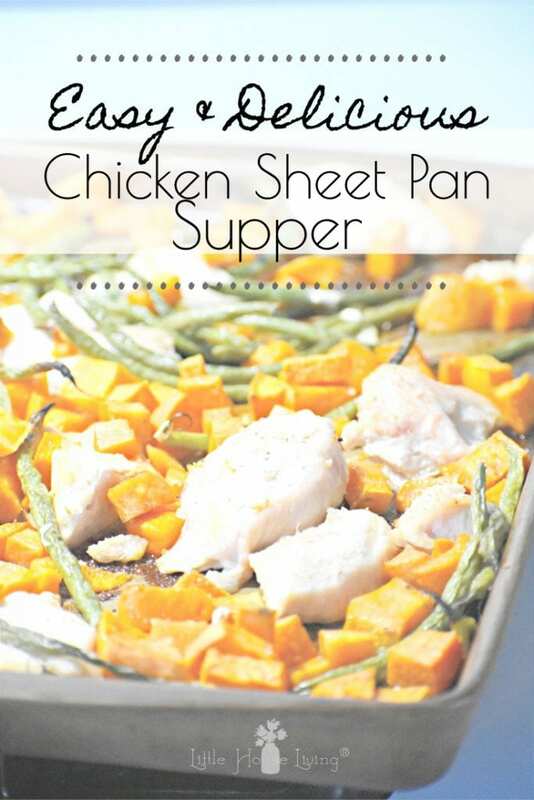 This easy Chicken Sheet Pan Supper is quick to prep and filling! As life has become a bit busier and a bit less organized, I’ve become more of a fan of easy to make meals that will fill my family’s bellies. Of course, I love a good slow cooker meal. Even if I don’t prep an entire meal in the slow cooker, just adding some chicken breasts and a bit of water and cooking them for some shredded chicken will help make mealtime that much easier. We’ve been loving simple sheet pan dinners lately because it makes it easy for me to prepare veggies to go with our meal at the same time AND I only have to dirty one pan. Less prep and less dishes? Win win! 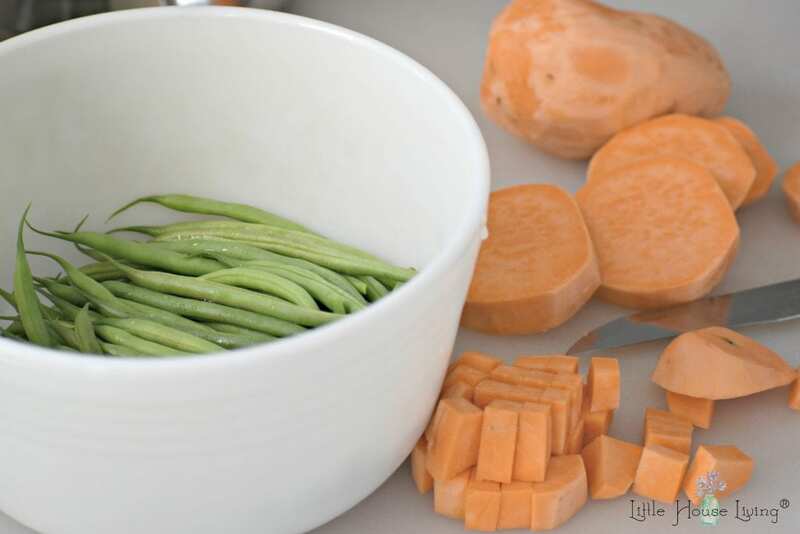 Dice up all of your potatoes into small pieces and place them in a large bowl along with the green beans. Drizzle olive oil over the top of the vegetables and sprinkle in some of your favorite seasonings. This meal is tasty with just a bit of garlic and salt but our favorite is the Garlic Salt blend (garlic, salt, onion, parsley) from Trader Joes. Stir to coat the vegetables with the oil and seasonings. Drizzle a bit of olive oil over your sheet pan, pour the veggies on. Slice your chicken breast into smaller pieces, about the size of chicken tenders. Place them on the pan and add a bit more seasoning over the entire thing. Bake at 400 degrees for 45 minutes to an hour or until the chicken is cooked to at least 165F degrees internal temp. For my family of 5, I will usually make 2 sheet pans of this meal (and double the recipe) so that we can have leftovers. On this particular night, I served our meal with a Strawberry Cobbler that I made with our strawberries from Fresh Farms USA. So delicious! Drizzle olive oil over the top of the vegetables and sprinkle in some of your favorite seasonings. This meal is tasty with just a bit of garlic and salt but our favorite is the Garlic Salt blend (garlic, salt, onion, parsley) from Trader Joes. Stir to coat the vegetables with the oil and seasonings. Slice your chicken breast into smaller pieces, about the size of chicken tenders. Place them on the pan and add a bit more seasoning over the entire thing.Bake at 400 degrees for 45 minutes to an hour or until the chicken is cooked to at least 165F degrees internal temp. 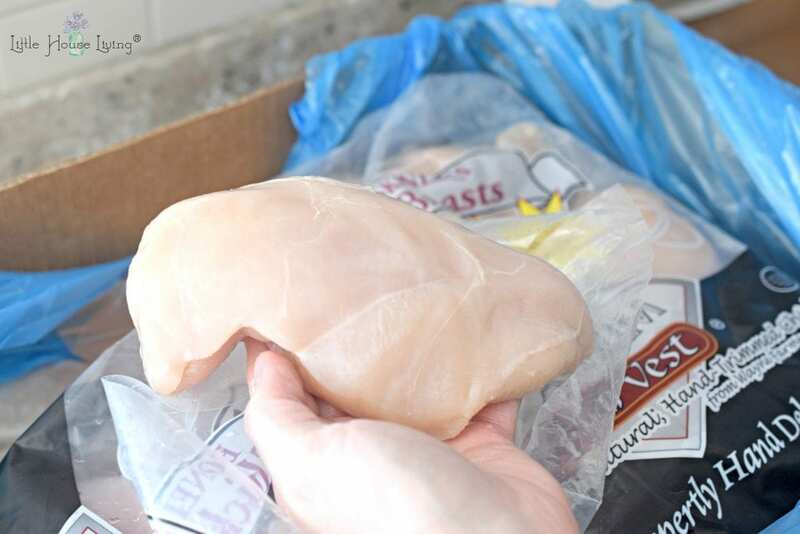 Since Zaycon no longer exists for buying bulk chicken breasts and bulk meat, many of you have been asking me about an alternative and I’m happy to finally be able to share one! Fresh Farms USA (formerly known as The Fruit Club) is bringing high-quality meats to 14 different states in the midwest. They’ve already been delivering tasty fresh fruits for the past 7 years and now they are adding bulk meats to their offerings. 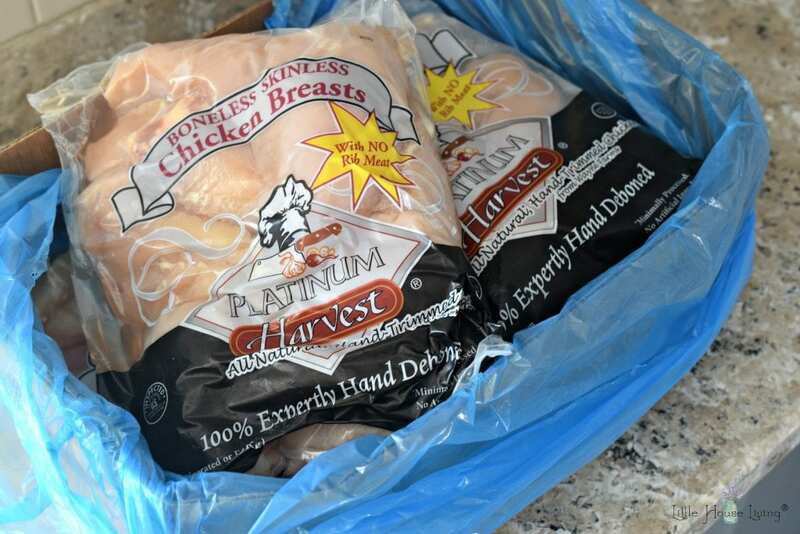 Our family recently was able to try their first delivery of fresh from the farm chicken breasts and we’ve been very happy with the quality and the taste. Here’s what the chicken looks like when it comes. Each box is at least 40 pounds and the meat is separated into 10lb bags. 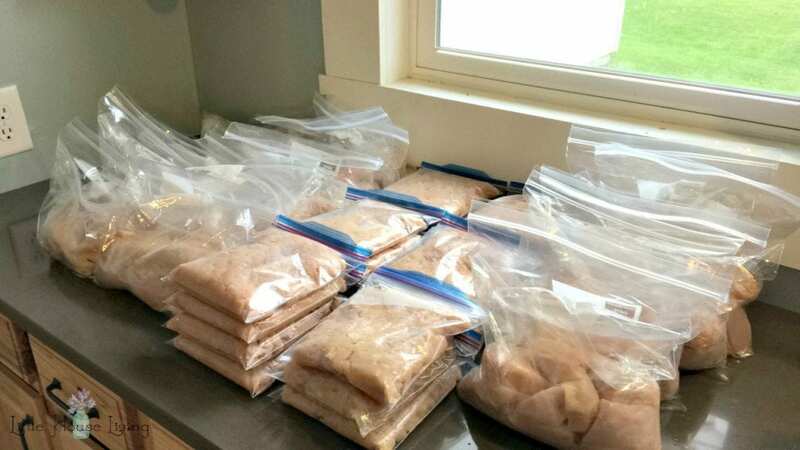 When we receive our meat, we open up the bags and place it in freezer bags in meal-sized proportions. (For our family, that’s 3 of the large chicken breasts per gallon sized bag. I love that they come already trimmed. Less work for me! 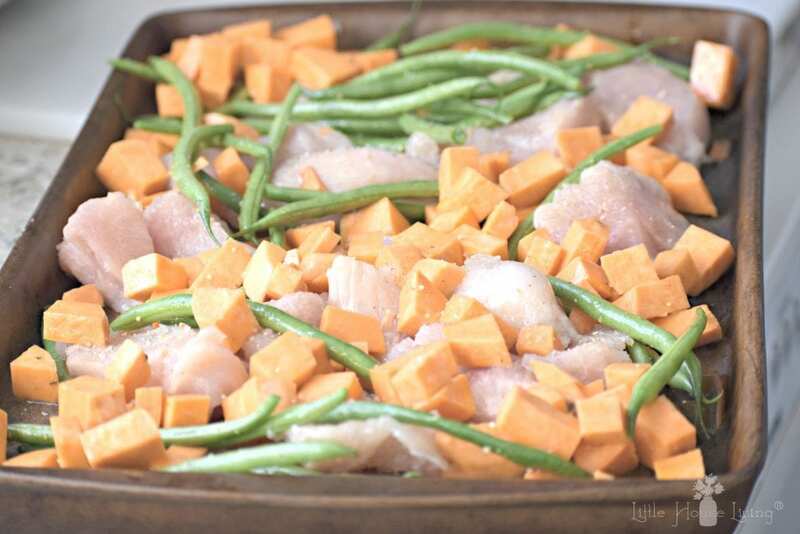 We also cut some of the chicken breasts into “chicken tender sized” portions to make grilling or meals like this Chicken Sheet Pan Supper very easy to prepare. –Learn more about Buying Meat in Bulk here. In the past when I’ve gotten bulk chicken breast, I also like to grind some up to use in recipes that call for ground chicken. It’s another simple way to prep the meat before it goes in the freezer to make easy meals for your family! Our family is looking forward to getting more chicken breast and fresh fruits from Fresh Farms USA in the future and we are also looking forward to trying more of their products as they continue to add to their meat offerings. As a very budget conscious family that prefers to make the most with what we have to spend, I’m so thankful to find another bulk buying company. I also love that this company is based right here in my home state of South Dakota. I was able to not only learn about the company but to visit their headquarters and offices and speak with Irina, the owner, in person before making this recommendation to you. They’ve earned my trust after being transparent about their company and how they work and also by already being in business and already having an enthusiastic customer base for many years. If you are looking for a great company to buy bulk meats from that has a solid reputation of being in business for several years already, I recommend checking out the Fresh Farms USA website to see if they are currently delivering to your state. If they aren’t currently delivering to your state, be sure and go here to let them know that you’d love to see them soon. 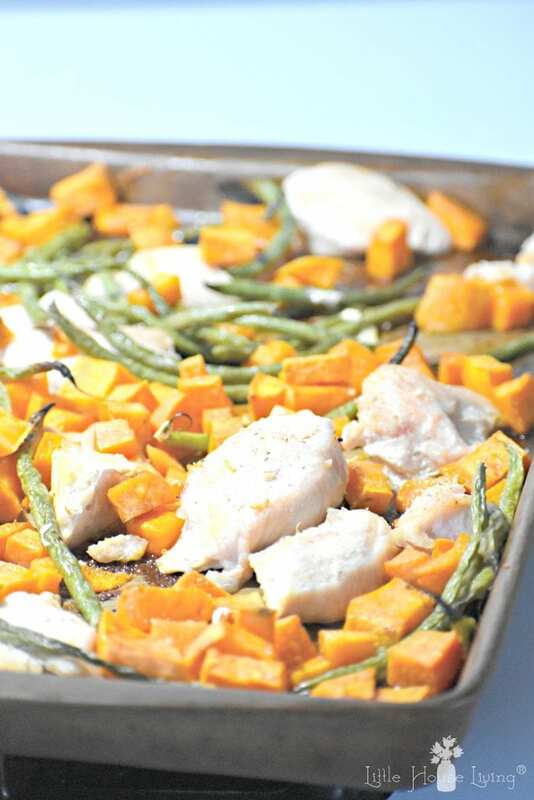 Do you make sheet pan suppers? This post has been sponsored by Fresh Farms USA but any and all thoughts on the product are my own. 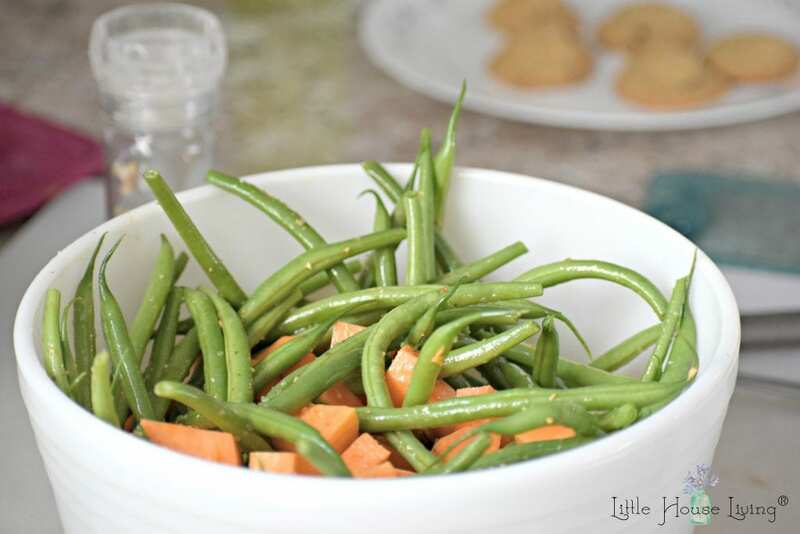 I am going to make this tomorrow, with a mix of sweet and white potatoes. 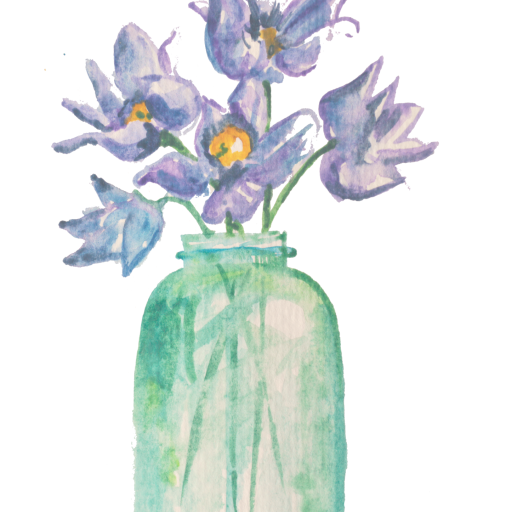 🙂 We use “Auntie Arwen’s Garlic Insanity” which is a blend we get locally in New Hampshire, but you can order it online. 😉 If you want it to be even quicker clean-up, you can actually make this in a tin foil packet! I’ve done similar with pork chops, and we seal them in individual packets (that way if someone likes more garlic, you can do it easily, and you can keep track of how much food you’re eating if you’re on a diet!) and cook them in a sheet pan. Often, there’s not a mark on the pan afterward – all the juices stay inside the tin foil. Thanks for the quick clean up tip! Fresh Farms USA delivers in my town and has a delivery in just a couple of weeks! Already placed my order. I trust your recommendations and I’m so grateful for this one. Being in KS, we have plenty of local sources for both pork and beef, but not so much for chicken and seafood. Looking forward to trying the trimmed breasts. Are you Zaycon or related to Zaycon? No. 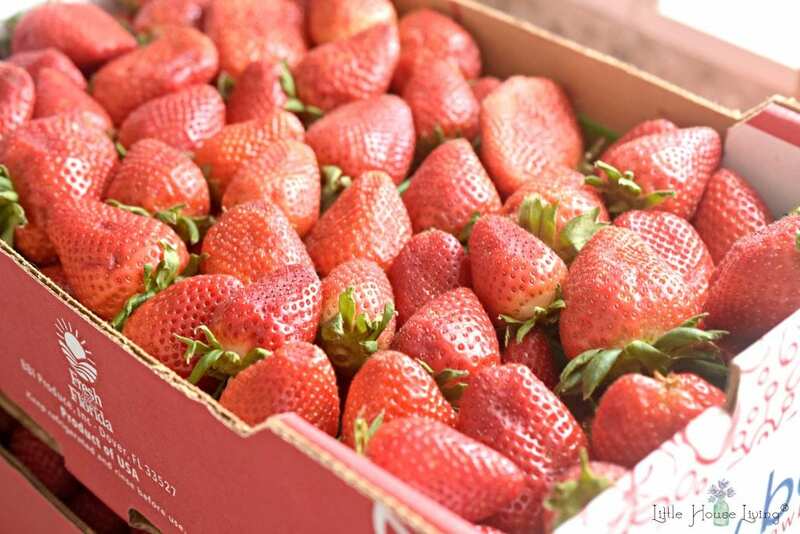 We offer a similar service, but we are Fresh Farms USA. We thought they had a good concept and jumped at the opportunity to take over and better serve their client base after they closed down. We apologize for the way that company treated their customers but we have nothing to do with Zaycon. Our company has expanded our product lines to include meat and seafood after being a successful fruit delivery company for six years, and we have expanded our delivery routes. We hope you enjoy the many options we have coming! I hope you do give them a try! I’m much happier with Fresh Farms’ chicken because I don’t have to trim it. I love roasted veggies too…I think I would eat just about any veggie that way!